Now That’s What I Call Music! 42 was the second of the Now… series to feature a Divine Comedy single, here ‘National Express’. The Divine Comedy was featured in a previous volume of the series, Now That’s What I Call Music! 36, ‘National Express’ will also be released on the 1999 edition of the series. 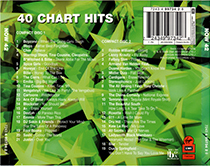 This volume features 40 hits on a double CD set, as well as a double cassettes set also available. We shall also note that each item has its own serial number (CD1 is 7243 4 99735 2 7 and CD2 is 7243 4 99736 2 6). 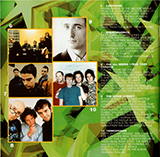 Inside the booklet, the liner notes say about the band: “If you’ve only just tuned into the wonderful world of The Divine Comedy, you might like to know that frontman Neil Hannon has friend in high places... After featuring on Robbie Williams’ hit single ‘No Regrets’, he was invited to support him on tour - during which Robbie repayed the favour by providing live backing vocals on ‘National Express’”, so obviously for their audience the only point of The Divine Comedy was the Robbie Williams connection! 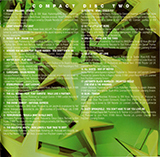 The booklet also thanks all the label from wich the artists are from, mainly major companies, but a few independent as well, so the presence of Setanta Records proves they made their place on the records industry.